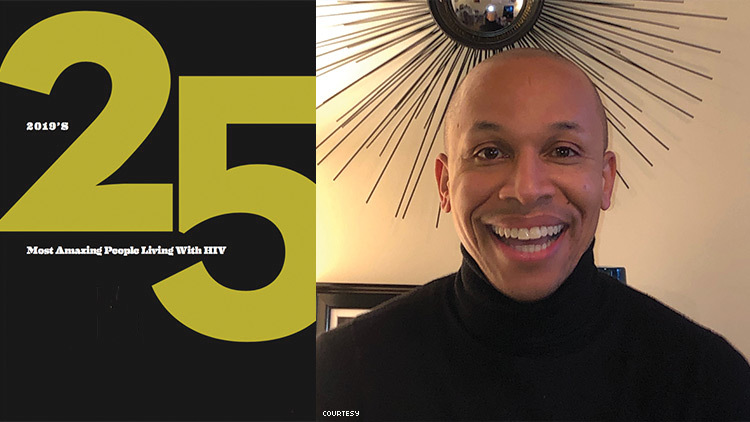 Now 46, Jasán Ward, has been living with HIV since 1995 and began his work in health and wellness for LGBTQ people of color and people living with HIV and AIDS in 2007, while employed at In Our Own Voices, an Albany, N.Y. organization. He was instrumental in creating numerous programs for marginalized communities. In 2012, Ward became an employee at the MOCHA Center. His work in this role culminated in the implementation of the conference Building a Strong Foundation: The Changing Landscape of HIV Prevention. Ward has also provided training and workshops to a broad range of service providers to help increase their cultural awareness and sensitivity enabling them to provide more effective services for LGBTQ people of color and PLWHA. In 2012, he was invited to the White House, as an emerging black LGBTQ leader, to address HIV and other issues affecting the LGBTQ POC communities. Ward was invited back to the White House in 2013 and 2014. A trainer for the National Coalition Building Institute and The Trevor Project, Ward has served on community advisory boards related to HIV and cancer, HIV vaccine trials, and PrEP. He later served as the manager of prevention programs and senior director of programs and evaluation for MOCHA’s Rochester location. In that city, he helped develop Building Leadership and Community Knowledge (BLACK), created in the wake of Michael Brown’s murder by the Ferguson, Mo., police in 2014. Currently, Ward is a program administrator for the New York State Department of Health, AIDS Institute, Division of HIV Health Care, Bureau of HIV Ambulatory Care Services. He oversees PrEP services, specialized care centers, adolescent and young adult programs, and transgender health programs. Despite all of these accomplishments, the thing Ward says he is most proud of the fact the he recently earned his Bachelor of Science in Community and Human Services from Empire State College — a journey he began when he was young but which initially ended after a suicide attempt. When not at work, Ward loves to plays the flute, engages in dance movement to release stress, and writes poetry.